Call me OCD, but if it’s Not on the Calendar, We Don’t Have a Meeting! Ok, here we go again. I have already written about the “right” aka effective way to make a business intro in today’s day and age. 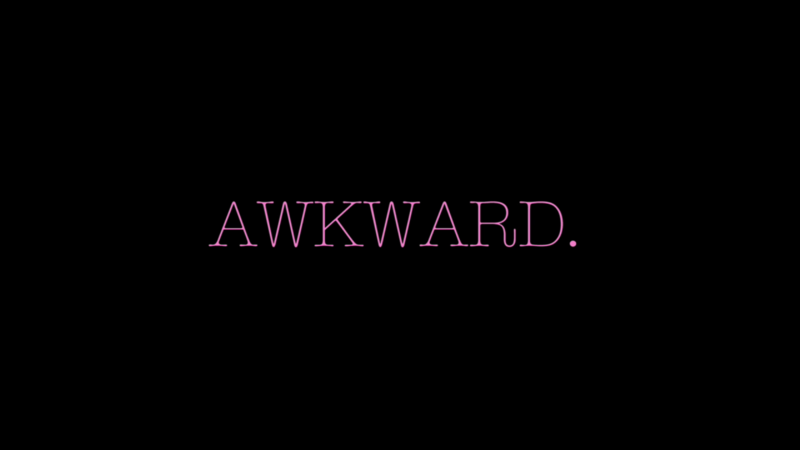 Please read that article, it will save you lots of awkwardness. Intros are something people in the business world make daily, sometimes ten times a day, sometimes more. Meetings are the same. Yes. And you are going to disagree with many of my points thinking they don’t apply to you. If you are not a fan of differing opinions, we can part now as friends. Yesterday was the much anticipated Apple iPhone event. 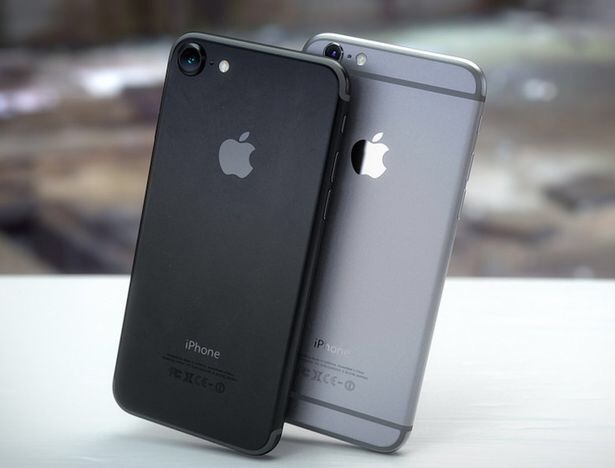 Yes, I am getting the iPhone 7 Plus, no I do not intend on talking about all the announcements and why, iPhone aside, all the other announcements almost put me to sleep. 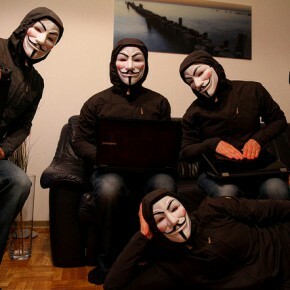 Anonymous: Hacktivist Heroes, or Bandits? Unless you’ve been living in a cave, you have for sure heard of the operations carried out by the hacktivist collective known as Anonymous time and time again in recent years. They are they ones that have taken down thousands of ISIS-related Twitter accounts. They also received press for acts such as threatening to expose the names of thousands of KKK members; taking on NSA over censorship of free press; hacking government sites that don’t support LGBT rights, and more. On smaller scales, they have been known to use their Internet wizardry to combat police coverups; track child predators; and find evidence to support victims of assault cases. Pretty impressive stuff, right? But who are they? 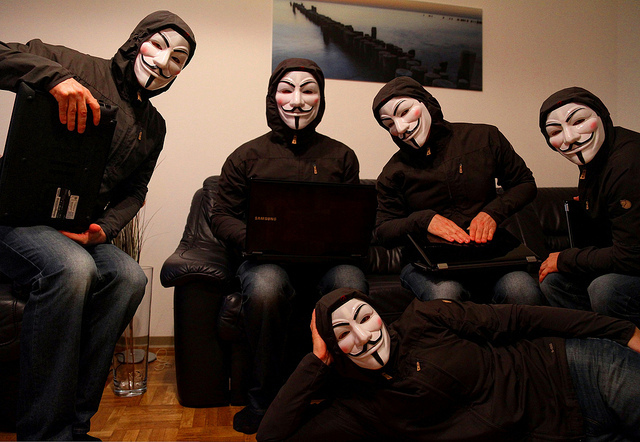 Anonymous is an amorphous group of hacktivists (hacker + activists.) As far as my understanding, they are mostly based in the US, and they make great use of the freedom of speech and accessibility of information in the public domain. They are not a static group of people. They are not an organization that would meet every week to discuss what their next mission would be. They seem to have a constant rotation of members coming and leaving. Members of Anonymous are particularly difficult to track because everyone is considered an equal, and there is no hierarchy. They constantly shift and change things up from within. Members disband from the operation and never talk about it again. Some of the members might join forces for other operations. Others might just leave. The amorphous nature of it all is pretty fascinating. Are you wondering if they can be stopped? Don’t bother, the answer is no. Authorities have busted members a few times here and there, and those members were quickly replaced by several more. And by the way, they are generally good to the media. They love being in the press. They love being in the headlines. That’s because they proudly stand behind all that they do, and want everyone to know that they are doing it. 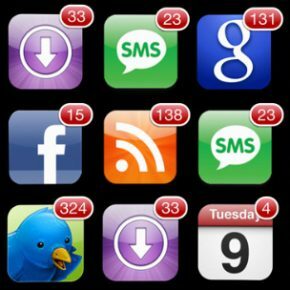 Anonymous is typically known to replace parts of websites, or disable them completely. They generally take on immoral corporate giants and other strong forces. And they had a pretty interesting start. Lots of people view them as trolls who are entertaining themselves at the expense of others, but that’s not quite it. They know that the Internet is a powerful tool, and they use it for moral crusades. The way they started was on 4chan, which was created in 2003. 4chan is a website that is totally sensor free and anonymous, where no one in charge. People can post what they want to post, say what they want to say, and see how far they can push buttons. Not quite the best place for sensitive people. Anyway, 4chan quickly attracted “netizens.” People started congregating on different boards, and found that they all shared a desire to mess with bad people. Anonymous kind of evolved out of that. They were people wanting to take things up a notch and actually do good. Well I guess I have to backtrack for a second. Their efforts started as mindless fun, and expanded onto something more. So yes, they were screwing with people first, and the goodwill came after. There is an interesting account of them messing with a racist radio host named Hal Turner. Hal got pranked by 4chan members because of his remarks, and he decided to investigate and get the data of those people. He then published the data on his site to have his fans track down the prankers, most of which were underage. That didn’t stop him from posting their addresses online. The 4chan community told Hal take it down. He said no. Then the troops assembled and got him good. Hal was soon off the air, and imprisoned. His tactic was used against him. People in that sect of 4chan then realized that they did something good there, by getting a racist person off the air. That was when they decided to continue going on that path. As long as there was a good moral dimension to what they did, they determined their actions were good. Anonymous raised hell for leaders of the Church of Scientology. That was because they didn’t like how the leaders were trying to remove certain videos from the Internet. Anonymous attacked their website, and took most everything pertaining to Scientology off the Internet. Anonymous even went as far as doing a Google bomb for Scientology, where if you were to type “Dangerous Cult” Scientology would appear as a result. Anonymous also did a series of harmless, but intense pranks against the leaders, such as having hundreds of pizzas delivered to Scientology offices, and sending jet black faxes to them, so they would run out of ink. The leaders of Scientology had enough, and went to the FBI about it. As part of “Operation Paypack,” Anonymous took down giants such as Visa, Mastercard, and Paypal for putting an end to donations on Wikileaks. It ended up costing Paypal over $5.5M to get out of that pickle. The bottom line is that Anonymous views themselves as the Internet Police. The Internet is not to be messed with. Hal Turner posted sensitive info of underage kids- wrong move. Scientology leaders tried to sensor the Internet- wrong move. Visa, Mastercard, and Paypal giving Wikileaks drama- wrong move. Anonymous can’t stand hypocrisy. They don’t like it when the US Government practices what they say is illegal for others to do. The government has repeatedly done DDoS attacks and shut down sites. When regular people did so, they were prosecuted. This was especially the case when people would use software for such attacks, but it was always totally okay for the government to it, and Anonymous did NOT like that. Despite being harshly punished by the US government (10 years in prison,) DDoS attacks are viewed as “virtual sit-ins” by Anonymous. I guess it goes without saying what they did to different US government sites to teach them a lesson, haha. There was one point they even overthrew the Egyptian government. 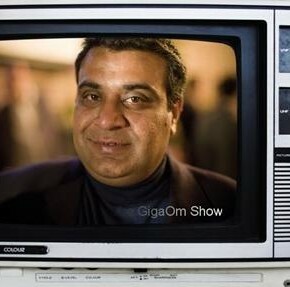 Mubarak had shut off the Internet in Egypt, which was a major no-no. Anonymous instructed people on how to get the Internet back by setting up virtual networks that cannot be shut down by the government. They even went as far as helping people send out tweets. Same in Tunisia. And China. And many more countries. On a smaller scale, Anonymous assisted citizens in a series of high-profile cold cases, coverups, and police brutality cases. They also launched crusades to uncover truths behind assaults, and reported their findings to authorities accordingly. The YouTube videos by Anonymous are the perfect mix of creepy, fascinating, and enlightening. They do a great job in branding themselves. In most cases, they say what is happening, and what is going to go down. This keeps them from being scapegoated, and also stops others from claiming their work. Here’s a vid of Anonymous sending a message to Kanye West, which went crazy viral when it came out. It takes a lot of work to become a member of Anonymous, it’s not a matter of just filling out a form and joining. You need to prove your worth with ideas or skillsets. You will later be invited to participate to become an Anon. They will call on you if you have other skills they can tap into. You can write web copy for them, help with videos- and contribute to Anonymous in many other ways without being a coder. Interestingly enough, only about a fifth of their members are actual hackers. The majority of them are protestors. Even though they don’t have a hierarchy, they do have a few people who take initiatives on certain operations. I guess it comes down to how organized and efficient they are. So what are your thoughts on Anonymous? Are they heroes, or bandits? They aren’t digitally stealing money, so they are not after financial gain. They are just exposing people doing bad things. 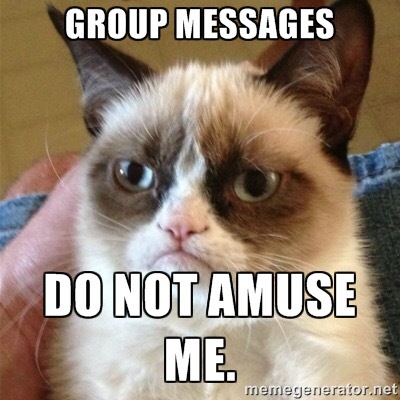 Of course, there are some members who may go astray. All groups have a few bad apples. But the ones that get the most press are the good ones. There are also repercussions to all the actions taken by Anonymous in the real world after all is said and done. There are always cases of people getting treated unfairly, post-operations. There are indeed immoral dimensions to Anonymous’ moral actions as innocent people become casualties in their crusades. I’d say that’s the darkest spot in their efforts. I personally side with them in most of their operations. I’m all for social justices being made, especially when higher authorities decide to take the backseat. The tech aspect of it all is just so awesome. Tech superheroes for the win! I have been using my Apple Watch pretty heavily since I purchased it soon after it came out. It took a little bit of getting used to, but I loved it from the get go. 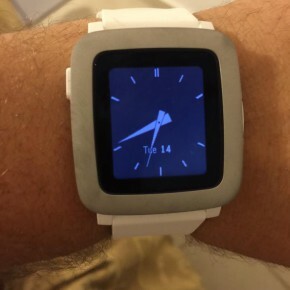 That reminded me of how much I loved my very first smart watch, the Pebble Classic. I previously wrote about how I found the Pebble Classic to be a total game-changer, and as you can see now- it was indeed. 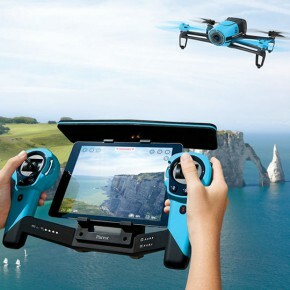 A Total Newbie’s Thoughts on the Parrot Bebop Drone. Spoiler: Holy Freakin Cow! Rewind a few weeks back, and I am sitting with a friend who is building a startup that involves drones. Drones were something I always knew would appeal to me and my geeky side, but never really considered buying one, until that day.